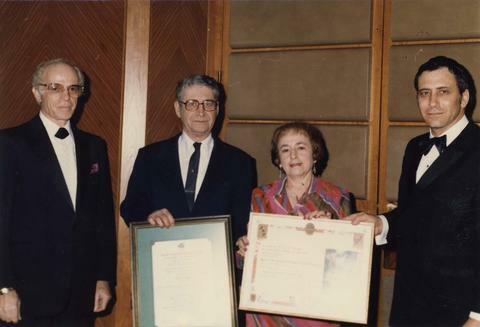 1 photograph : colour print ; 3.5" x 5"
Photograph depicts four unidentified people with a framed certificate. Written on verso: "JNF Feb. 24/83. 'P'"